HELMETS, BELLS AND LIGHTS ARE STRONGLY SUGGESTED. Kids 12 and under are required by PA Law to wear helmets. This ride is AT YOUR OWN RISK. NOTE: I will have a waiver for the May 17th Ride that you must sign in order to take part of before May 1st! What happens if there is bad weather? : A light sprinkle we will ride, a down pour likely not? Please check back on the website and Facebook group. I want to drive down, where can I park? : We suggest you park at the end of the route so you can easily reload bikes and kids at the end. How fast do you go? : We go so slow, we could probably walk faster. No really this ride is at a slow rate, we wait for the group between lights/ stop signs. Kids on Training Wheels? : We suggest if your child is on training wheels, biking on the city streets might not be the safest. Can I come without a kid? : Yes, as long as you are pro safe streets and do not make us nervous you are welcome to come without children. Please remember though you are riding with children. Can I come without an adult? : Sorry, at this time we require you come with an adult who is responsible for you. Can I volunteer to help? : YES PLEASE. Email Us. 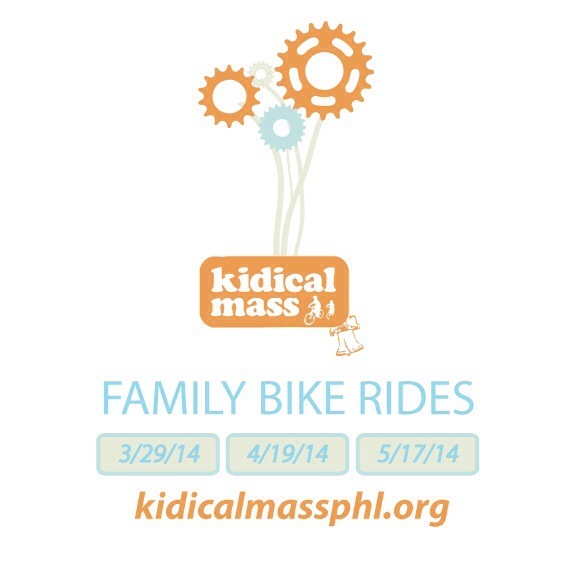 Join us at 11am at Fitler Square for a ride to Rittenhouse! April is twice as nice with rides. 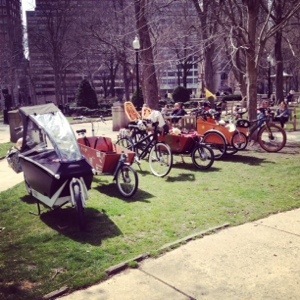 Please join us at Logan Square for a ride on April 19th at 11am. Please see Give Mom A Bike Lane for video of the previous ride.